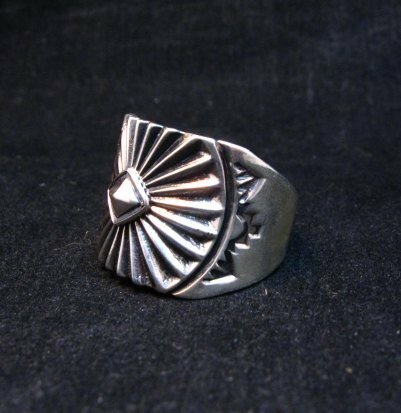 This sterling silver ring was created by Navajo silversmith, Derrick Gordon. 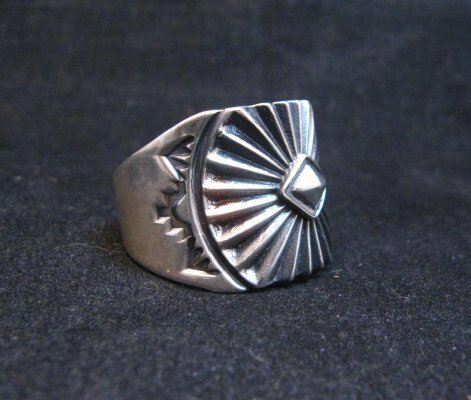 Navajo silversmith Derrick Gordon specializes in old pawn style jewelry with beautiful hand stamped designs. He is considered an expert in old style jewelry and makes all his own stamps. 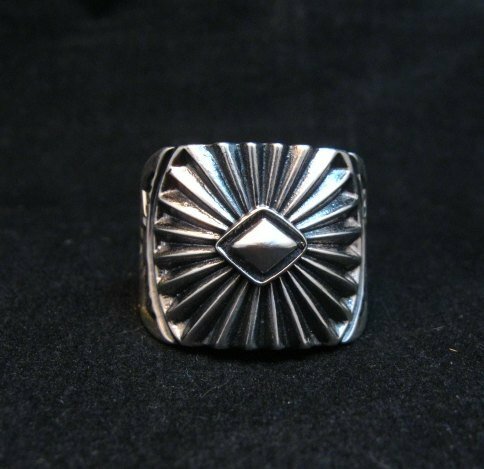 He learned silver-smithing from his uncle Delbert Gordon, whose jewelry we also carry. This ring is a very comfortable ring to wear, because of the wide band. Nice unisex ring. 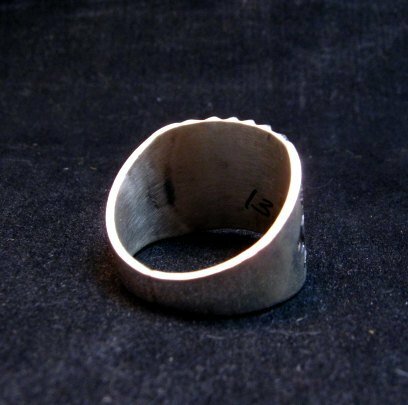 The ring measures 3/4 inch wide at the front, narrowing to 1/4-inch at the back and weighs 12 grams. The inside is stamped sterling and has Derrick's hallmark. Certificate of Authenticity included and gift box included. Size 13.